Liam Moody-Reed was credited for his attendance at college and for his outstanding project work. 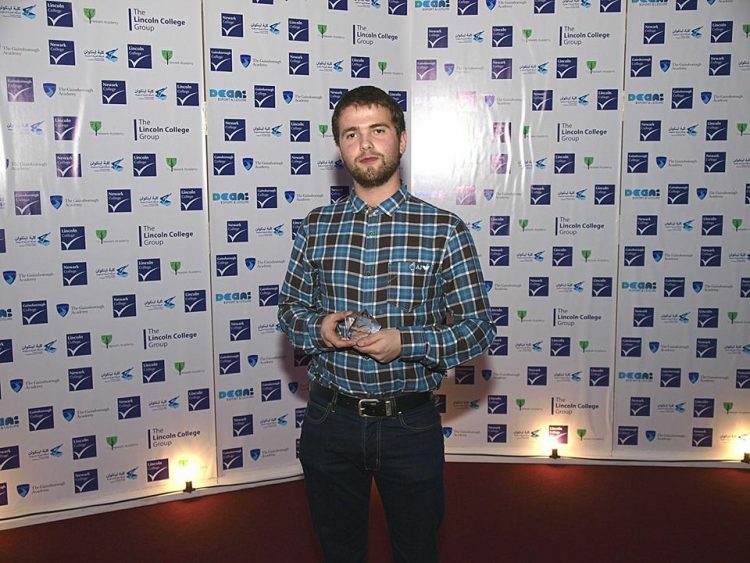 As part of our ongoing commitment to training young people and inspiring new talent, the Gelder Group was proud to sponsor the Outstanding Apprentice in Brickwork and Plastering award at Lincoln College’s Annual Awards Ceremony. In recognition of over 50 of their most successful, determined and outstanding students from Lincoln, Newark and Gainsborough colleges, the ceremony offered the chance to talk closely with the winners and share a festive evening with many sponsors from other local and national businesses. This year’s winner of our award was Liam Moody-Reed, credited for his commitment to his attendance at College and for his outstanding project work.